This week was Sketchy Thursday at Scraptastic Club Blog and somehow I missed sharing it here, but there is still time to play along for a chance to win! Click Here to see the fantastic layouts by some of the other Design Team members. 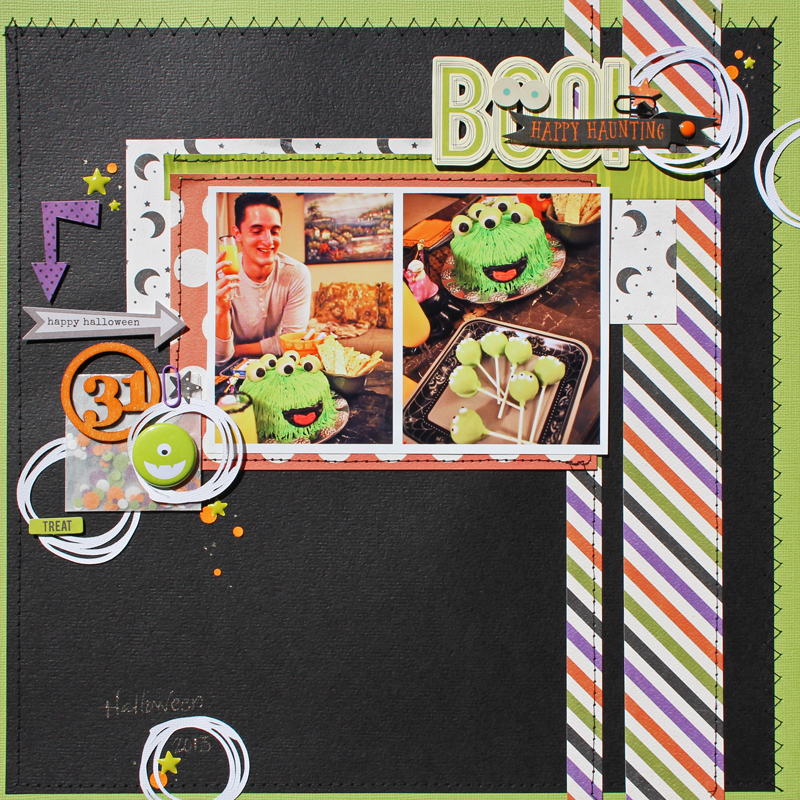 For my example I used the October Thriller kit, add on kit, and the cut file from the October This Life Noted kit. And the sketch is #134 from Sketch Savvy HERE. I used orange ink on the cute 31 wood veneer and then used clear embossing powder over that, it turned our really cool. SUPER cute layout! Love ll the extras you put on it!